VATICAN CITY (CNS) — No country is immune to the trafficking of organs, which has become a global problem that demands a concerted and cooperative response, said a number of speakers at a Vatican summit. To encourage nations to create, tighten or implement legal and ethical best practices for organ donation, the Pontifical Academy of Sciences brought together government ministers, judges, law enforcement personnel, medical professionals, human rights activists and journalists Feb. 7-8. While much media attention focused on the Vatican inviting officials from China, which has been criticized by human rights groups for harvesting organs from executed prisoners, the Vatican also invited representatives from more than 50 nations, especially those plagued by organ trafficking, including Mexico, India, Pakistan and Iran — where the sale of human organs is legal. The point of inviting countries struggling with or condoning the organ trade was to give them the impetus, contacts and pledges of cooperation from governments, professionals and organizations that would like to see and help them reform, said Francis Delmonico, a U.S. surgeon, expert in transplant policy and academy member who moderated the final sessions. The summit goals, according to the program brochure, were to describe the extent of organ trafficking and transplant tourism, share ideas for prevention and legal frameworks, ask participants to pledge to common goals and engage all sides to work together and build alliances to stop organ trafficking. “Don’t miss the alliance that is there before us,” Delmonico told participants. And new alliances will be formed among prosecutors, legal experts, governments, U.N. agencies and the public, spreading awareness about the growing exploitation of the poor and vulnerable to work around long waiting lists for organ transplants. “How can we be of help,” so the summit is not just an exercise in “talk,” but prompts real change in India, he asked Saneep Guleria, a transplant surgeon in India and member of its national kidney and transplant institute. Delmonico then turned to Huang Jiefu, chairman of China’s national organ donation and transplantation committee, and told him the final statement the academy wanted to draft would call for the eradication of procuring organs from executed prisoners. 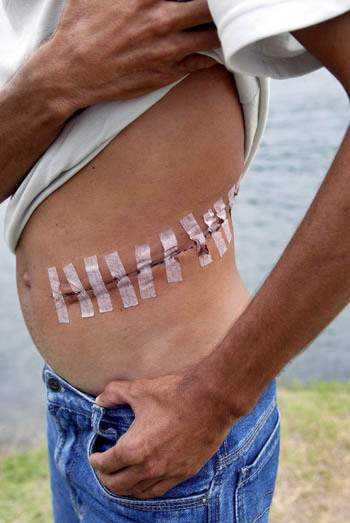 “How can we bring this to your government to achieve that goal,” the U.S. surgeon asked. “We wish to assure you of that cooperation,” Delmonico said. “The problem is worldwide. No one is untouched,” Shashank Bengali, South Asia correspondent for the Los Angeles Times, told the summit. He urged government officials and legal and medical professionals to “treat media as partners in this effort” and reach out to or cooperate with them to help broaden awareness of human trafficking. “Journalists are eager to report” on trafficking and to share victims’ stories, which often resonate very deeply with readers and viewers, he said. Many write or comment to the news outlet asking how to help address this issue. Naziha Syed Ali, a writer for Dawn, an English-language news outlet in Pakistan, said, “media are useful in holding government accountable” and “shining the light in dark corners.” She said they are also a safe conduit for doctors who want to expose wrongdoing they are aware of, but hesitate to report because they are afraid of repercussions by the criminal networks that trade in organs. John Gill, a Canadian professor of medicine at St. Paul’s hospital in Vancouver, said doctors have a duty to speak to their patients who want to seek an organ transplant abroad about the health risks involved. “People think it’s like getting your toenails clipped,” he said, when instead there are often no records or assurances of what went on during the procedure, the medications used and the condition of the organ, which could be diseased. Doctors should object when they see the potential for organ trafficking and exploitation, he said. Some patients needing an organ “think it’s no big deal to sell a kidney,” especially if they aren’t aware of the deception involved or poverty driving the recruiting of donors. Kristof Van Assche, a professor of health law at the University of Antwerp, Belgium, said many doctors are unable to fully cooperate with law enforcement because medical confidentiality laws prevent them from disclosing information about their patients. He said lawmakers would have to make specific exemptions for reporting knowledge or suspicions a patient is seeking to pay for and receive an organ abroad. Illegal transplants are possible because of complicit medical professionals and lawyers, who are sometimes the ones providing the fake passports for travel abroad, said Nelufar Hedayat, an Afghan-born journalist with the BBC.